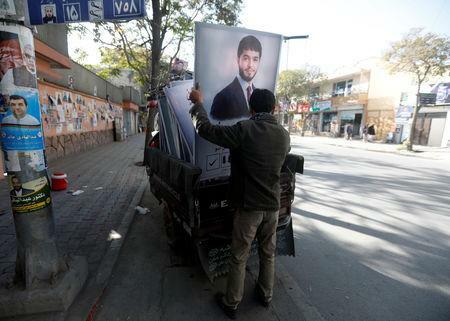 KABUL (Reuters) - Javid Jaihoon, who started life selling water on the streets of Kabul, is one of a clutch of Afghan businessmen whose multimillion dollar fortunes, built in the boom years after the fall of the Taliban, are now fuelling a run for parliament. As well as featuring prominently among the riot of campaign posters now plastering the streets ahead of Saturday's election, they are burnishing their image with TV ads, football team sponsorships or treats like free admission to amusement parks. "It's not suits that make you different," the shaven-headed Jaihoon, known widely as "Lala" ("Brother") Javid, told Reuters, lightly brushing his own Armani jacket. "'Lala Javid' himself is a brand that's known all over the country." After a childhood selling cups of water and loose bananas, Jaihoon was among a class of entrepreneurs agile and ruthless enough to seize their chance during the wild decade after 2001 when Western money and contracts were pouring into Afghanistan with few questions asked. Now worth $200 million, according to his own estimate, Jaihoon owns Afghanistan's largest cement factory, a bank and a security company that together employ more than 8,000 people. "Anyone can become a millionaire if they work hard and believe in achieving something," he said. Even as the Taliban have extended their reach from their rural heartlands to the outskirts of major cities like Kabul, money is being made in Afghanistan and the rise of such entrepreneurs underlines its undoubted power in local politics. While often closely linked to the political elite, they represent a change from the old class of former Mujahideen leaders and strongmen, several of whom have children running for parliament. The sons of Hizb-i Islami leader Gulbuddin Hekmatyar, and former anti-Soviet commanders Ismail Khan, Mohammad Moheqeq and Karim Khalili, are all standing, using the aura of their family name to power their campaigns. All are considered likely to win seats and continue the dynasties created by their fathers in the turbulent years that began with the assassination of former President Daud Khan and the arrival of the Soviets in the late 1970s. But for many in the new business class, the election is less a matter of political power than protecting their interests. "As a businessman, you basically have to pay and fill the pockets of a lot of people if you get a contract," said Habibullah Esmati, a candidate who owns a popular fun park near Kabul zoo. "But if I am elected to parliament, I will be immune from paying protection money. It will be an insurance for my businesses and investment." Critics say that for those with money and connections, a seat in parliament offers excellent opportunities to win lucrative government contracts together with protection against prosecution. There is a great incentive to buy votes either directly or through promises and favours and campaign spending limits appear to be openly flouted. 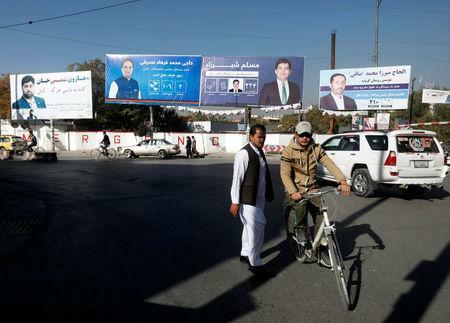 "In Afghanistan, the first criterion for voters is money, then ethnic and family connections," said Naeem Ayubzada, director of the Transparent Election Foundation Afghanistan, a watchdog body. He said one female candidate, without the means of some rivals, had come to his office in tears because people were demanding $50 for their vote. But like many businessmen-turned-politicians in Western countries, Afghan entrepreneurs typically promise that their wealth will enable them to resist the corruption for which parliament has become notorious. "My election slogan is 'Fight against poverty and unemployment'. But to support youth and provide them with jobs, I have to be in parliament," Jaihoon said. "I am not like other MPs who think being in parliament is a lucrative business. I don't need money and I won't go to the ministers to get something done. I will summon them and make sure they do their jobs," he said. A former football player, he also sponsors a team in Afghanistan's Premier League, a well-tried formula for boosting popularity. The league was itself rescued from financial problems last month by another wealthy entrepreneur-turned-candidate called Ajmal Rahmani, known popularly as "Armoured Ajmal" after his business selling bulletproof cars to the Kabul elite. 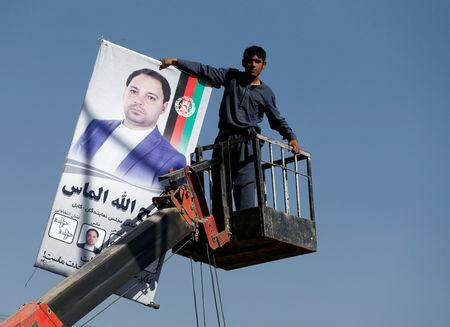 Rahmani's campaign posters now adorn the grounds where spectators on match day get gift bags bearing his image, an updated version of the traditional feasts and hospitality Afghan politicians offer at meetings with their supporters. Esmati, who opened up his funfair to the public during the campaign, tempting almost 10,000 potential voters with a free day out, also sees the value of innovative approaches to garnering support. "Other MPs had feasts and feeding people," he said. "But I gave them entertainment and I believe entertainment is more important than food."